Earn up to 21,570 reward points. The re-designed leadpipe of the BE2028 Prestige, along with the main tuning slide and 3rd valve trigger, makes this cornet a top choice. 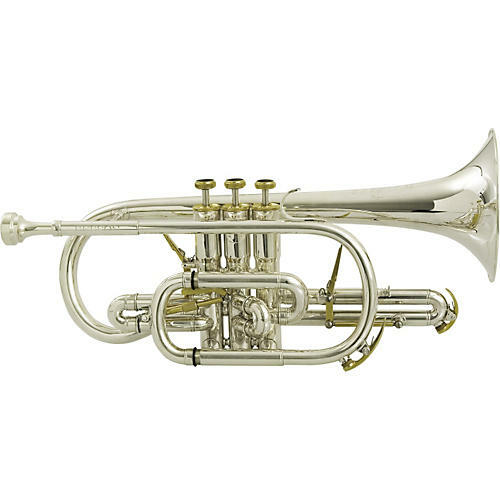 Not only has Besson designed the best in playing characteristics into this cornet, they have also made it look worthy of the name "Prestige"--with gold plated riggers, gold plated top and bottom valve caps plus black-inlaid gold plated button tops.